Ledberg hack: From wimpy IKEA Ledberg to cool work light! 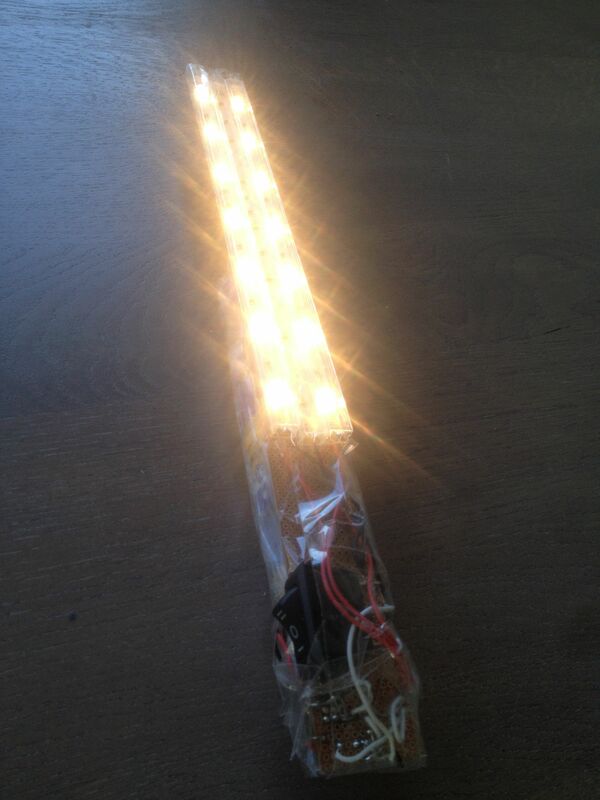 This Ledberg hack started when I was walking around the Ikea and noticed the Ledberg ledstrips. They looked like a perfect hackable product that doesn’t cost much. Hacking mass produced stuff is just great fun. 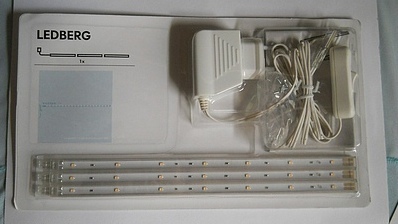 Looking at this product it seems to me that that big ugly wall wart and on-off switch is way to big and clunky for these ledstrips. I’d like to get rid off those en make these strips wireless so they become usable wherever I need them. 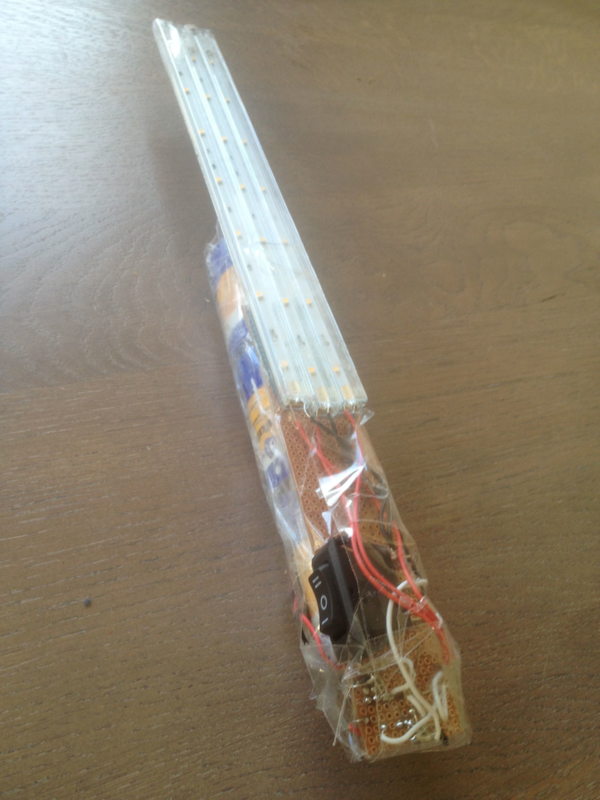 I decided to make a mobile work light out of these strips. 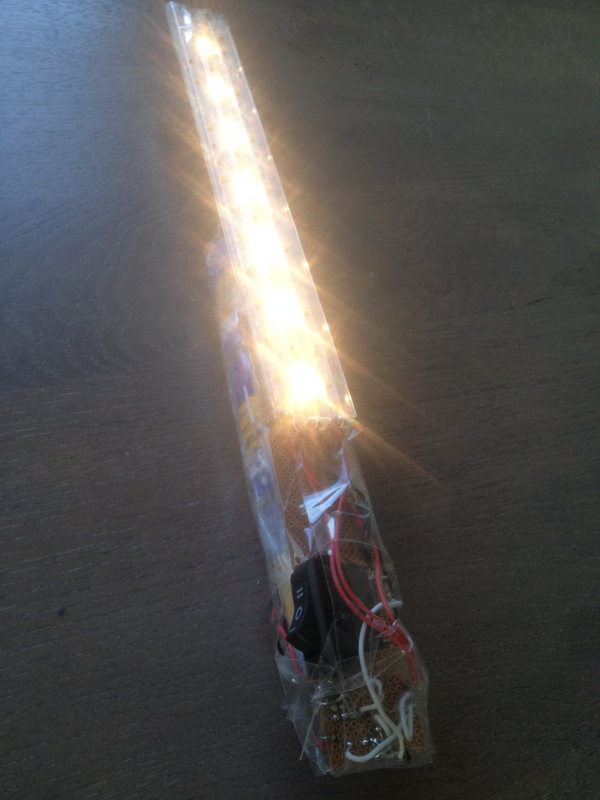 Since LED lights do not use much energy (in comparison with traditional lighting), I thought it would be great if I could make these strips run of a single D-Cell battery. These D-Cells have reasonable amount of charge so it should last long enough to be usable. I measured 160 mA current used by the three strips with my multimeter. 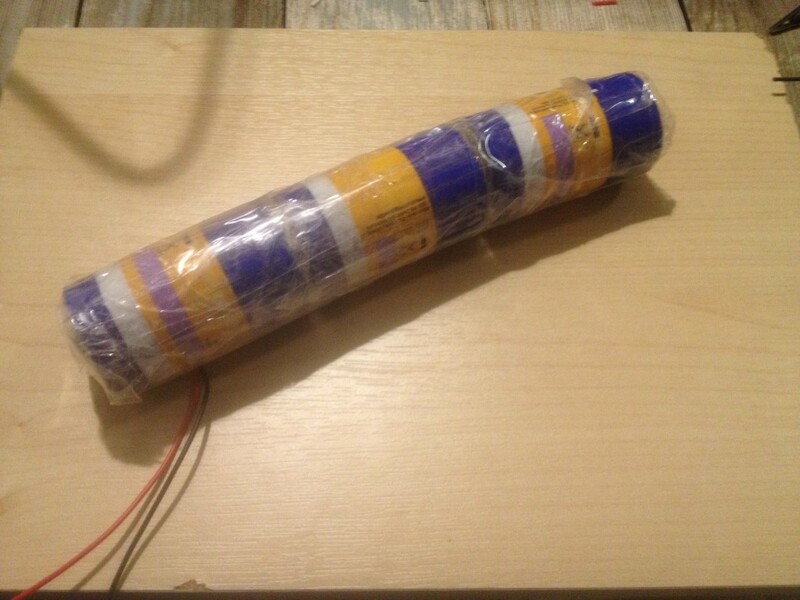 An alkaline D-Cell contains in the neighbourhood of 15000 mAh. So a single battery has a enough charge for 15000/160 = 93.75 hours. Being an electronics beginner I first thought that the inductor might be the limiting factor. 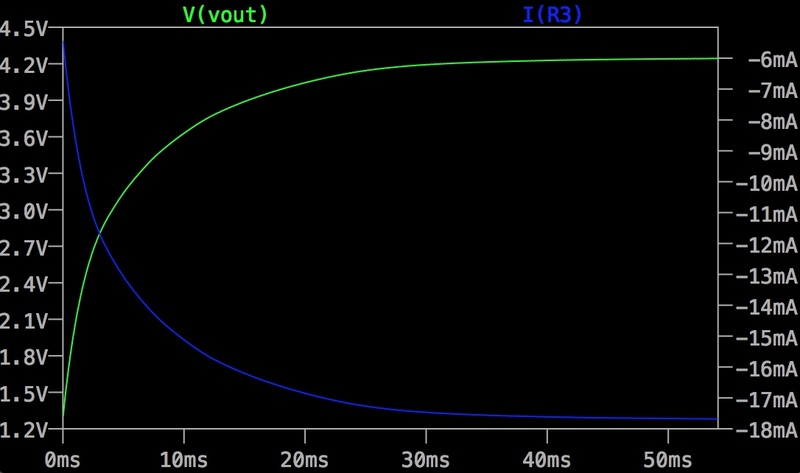 But talking to more experienced friends I discovered that in order to get 160mA@12V on Vout you need to increase the input current by around the same factor as the Vout/Vin. So going from 1.5V to 12V is a factor of 8. That means that if I need 160mA@12V, that is 1.92 Watt on Vout I will need to put in 160 * 8 = 1280 mA on Vin or it won’t reach the needed output voltage. The D-Cell can’t provide that much current (I could not find an exact number but it seems well below 1 Amp). 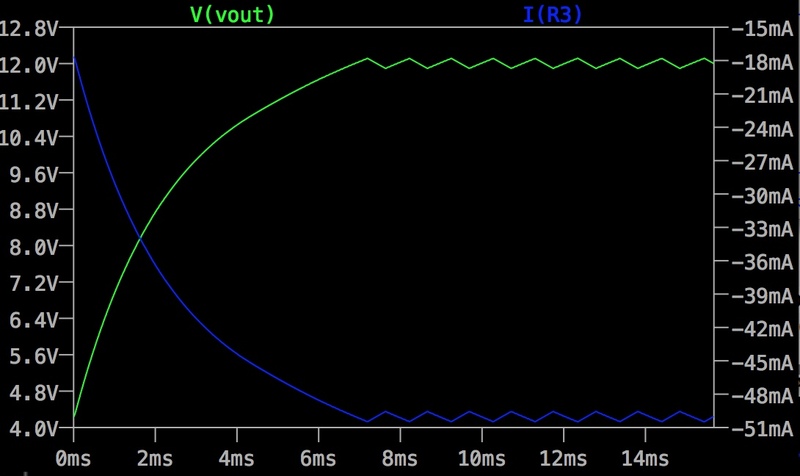 To be sure I modeled my circuit in LT-Spice, which is a great tool for this kind of circuit design. Simulating the circuit you can clearly see that putting in 1.5V from 1 D-cell tops out at about 4.2V. 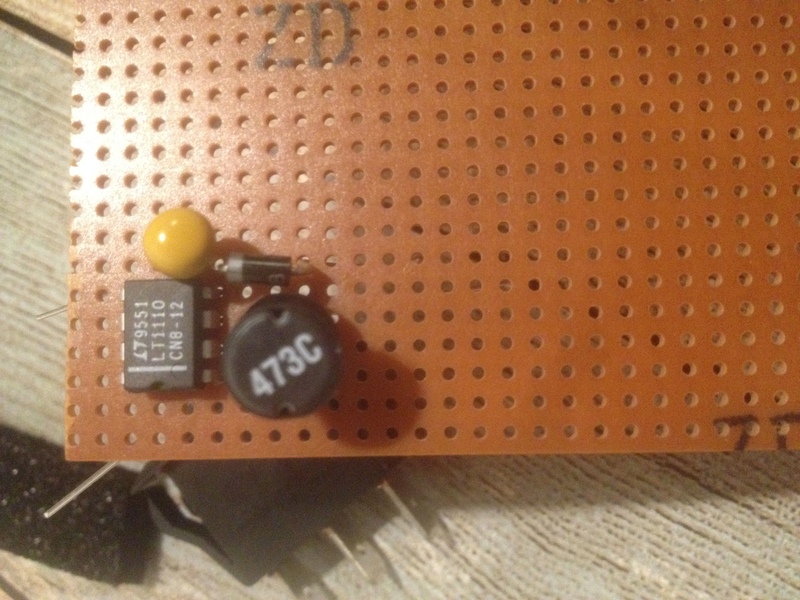 When I put in 4.5V on Vin I finally get the Voltage and Current that I need for my LED strips. So now that we know we can’t power these LED strips with anything less that 3 D-Cells we can start building the actual mobile work light. 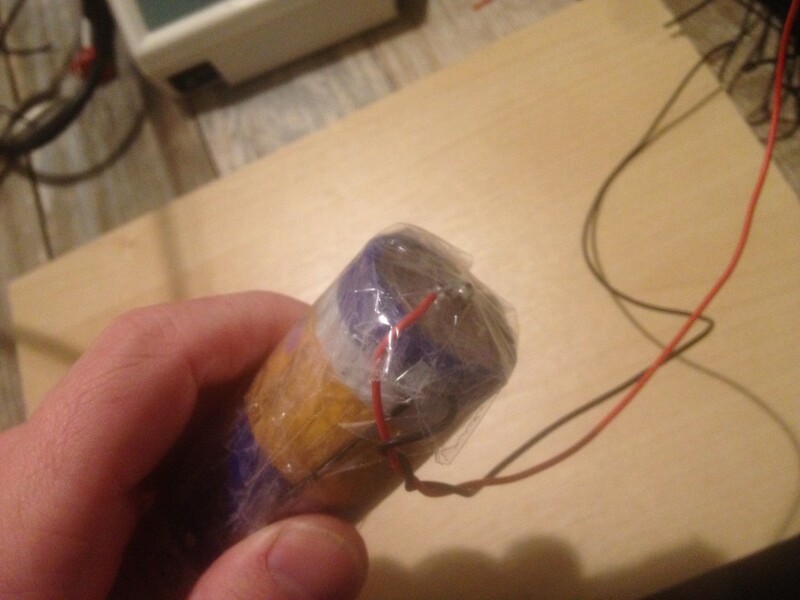 First I created the battery pack. It is crude but effective. 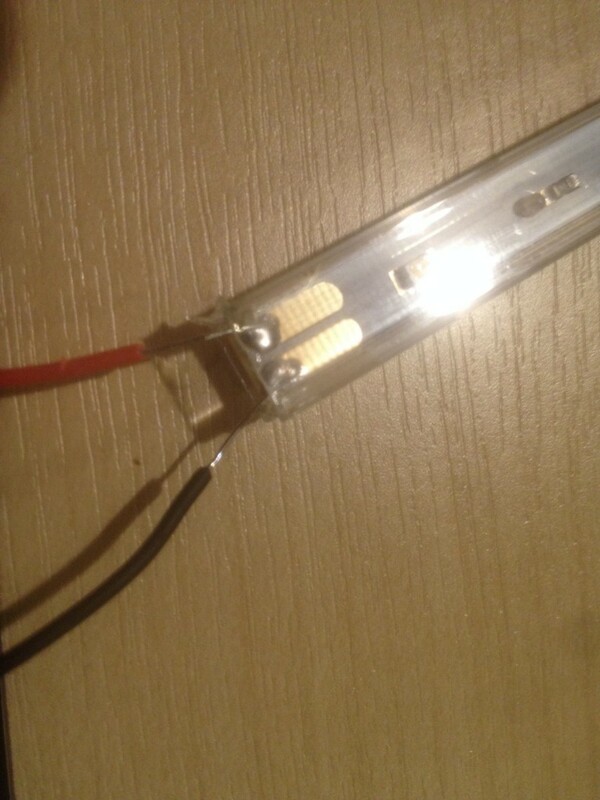 Just soldered on the power leads to the first and last battery (TIP: sand the part of the battery you want to solder to get the solder to actually bond to the battery, otherwise it will slide off). I wound transparent tape tightly around it to give it structural strength. It feels quite solid after that. 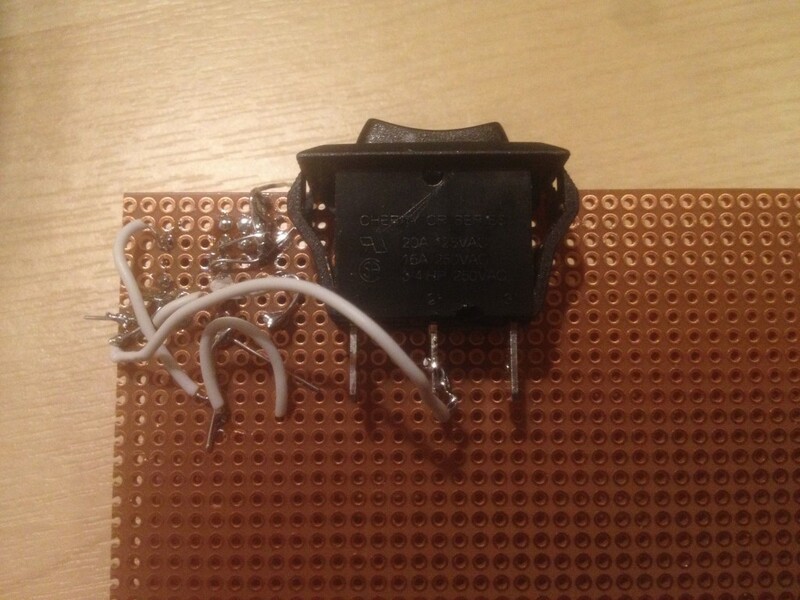 After that, let’s put the circuit on a piece of perfboard. It’s not the most elegant piece of soldering but it works. I just glued the rocker switch to the perfboard. I used a 2-way rocker to make a work light with two settings: Soft and Bright. One improvement to this Ledberg hack that I did not get around to is to make all three LED strips light up in the bright mode. In order to do that I need more switches than my simple 2 way rocker switch. So if anyone has a nice design for that I’d love to learn about it. This entry was posted in Lighting, Maker Recipes. Bookmark the permalink.